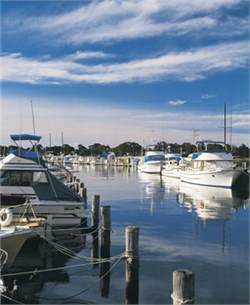 For a dose of style in the Gippsland Lakes, make your way to Metung. A great base for water sports enthusiasts. This tiny town has become known for combining laid-back leisure with fine food and wine, so it's no surprise that people flock to this village to experience both. • Visit - the shores of Bancroft Bay, where there is a large rock known to the Indigenous population as the Wallung. Part of the Batatuk Cultural Trail, the rock is the subject of a variety of stories that you can discover at the Krowathunkoolong Keeping Place in Bairnsdale. Directions: Metung is about four hours' drive from Melbourne just near Lakes Entrance, off the Princes Highway from Swan Reach.